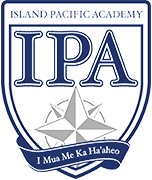 ISLAND PACIFIC ACADEMY uses a web-based application service called Ravenna for the admission process. The online application includes student information, family information, and a non-refundable $85 application fee. Please click on the link below to access our online application, as well as all other forms needed to complete your child’s application. We have a rolling admission policy, applications are continually accepted. Priority consideration deadline is extended to February 8, 2019. You will be asked to create an account with Ravenna in order to access the application. Please make a note of your account information so that you may use it going forward. If you have created a Ravenna account for another school and/or child, please use your existing Ravenna account. Your one Ravenna account will manage all of your Ravenna applications. If you have more than one child, you only need one Ravenna account since it accommodates multiple children applying to multiple schools. If you are applying for the 2018-2019 school year, please contact Admission. In order to become familiar with IPA, all prospective families are invited to attend a school tour. For a list of weekly tour dates or to reserve your spot on a tour, head over to Plan a Campus Visit. Our specific grade-level requirements for application are listed below. Applicants to Kindergarten – Grade 5 (one required). Parents must sign the parents' portion of the Teacher Reference Report and submit the form to your child's current teacher*. The teacher must upload the reports to Ravenna. Applicants to Kindergarten - Grade 5 will be scheduled for an admission assessment. The focus of the assessment is to evaluate your child’s developmental maturity and school readiness for the program at IPA. We will schedule your child for this session once the application has been submitted online. Please upload copies of your child's academic records to your Ravenna online account. Parents must submit the Consent for Release of Information Form to your child's current school to request the following academic records*. *Kindergarten applicants not currently enrolled in a pre-school program are not required to submit any records. Applicants to Grades 6-8 (two required). Applicants to Grades 9-12 (three required). Parents must complete the parents’ portion of the Teacher Reference Reports and then distribute the forms to your child’s current mathematics and English teachers. If your child has only one teacher, give the second form to your child’s additional academic subject, coach, activity coordinator or previous year’s teacher. The references should be uploaded directly by those completing the forms to the Ravenna website. Register your child for the SSAT (Secondary School Admission Test) at ssat.org and select ISLAND PACIFIC ACADEMY as your Score Recipient. For questions regarding your SSAT account, please call (609) 683-4440. Parents must submit the Consent for Release of Information Form to your child's current school to request the following academic records*. Students applying to Grades 6-12 must complete the Student Questionnaire and Essay. Applicants with be scheduled for a personal interview with a member of the Admission Committee, once your child's application has been submitted online.